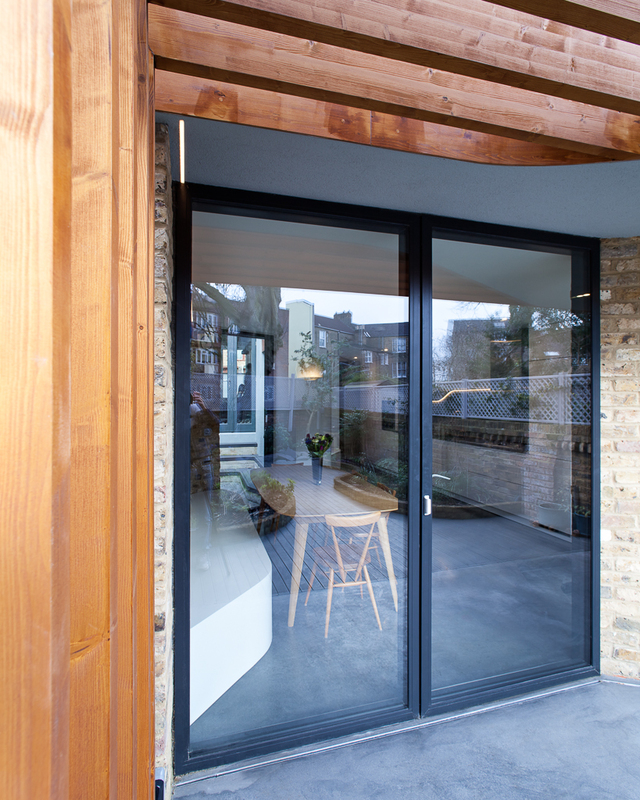 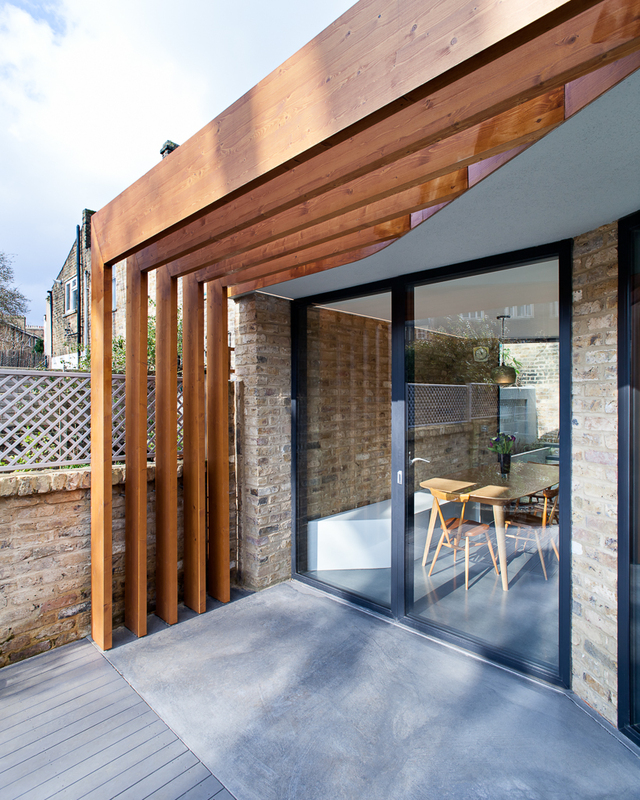 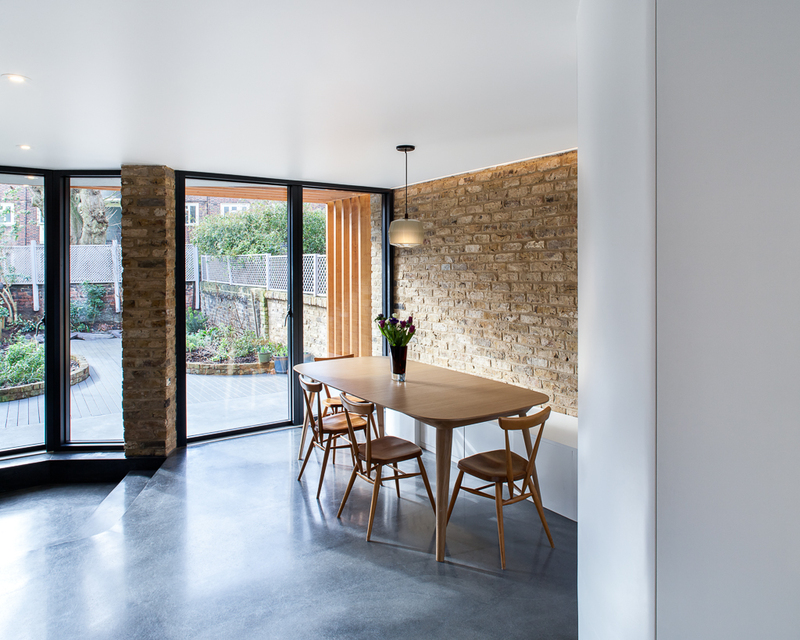 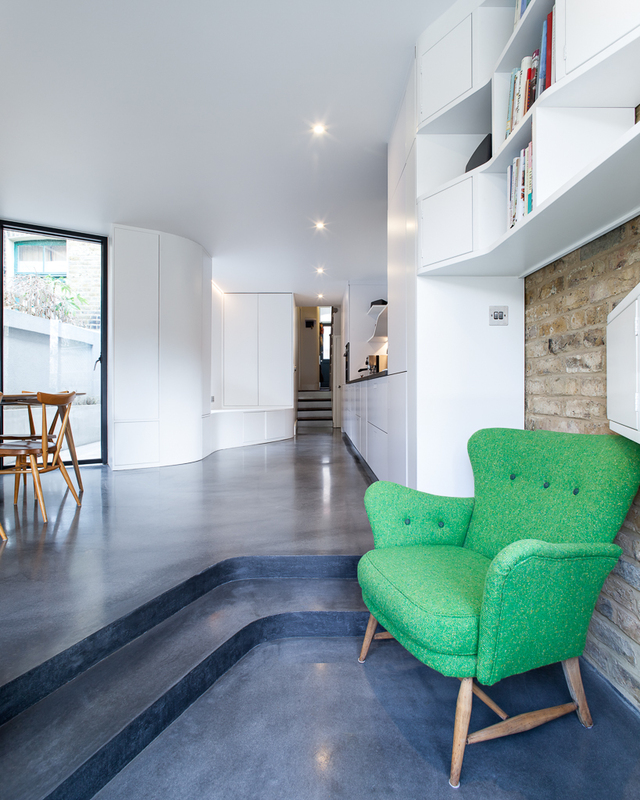 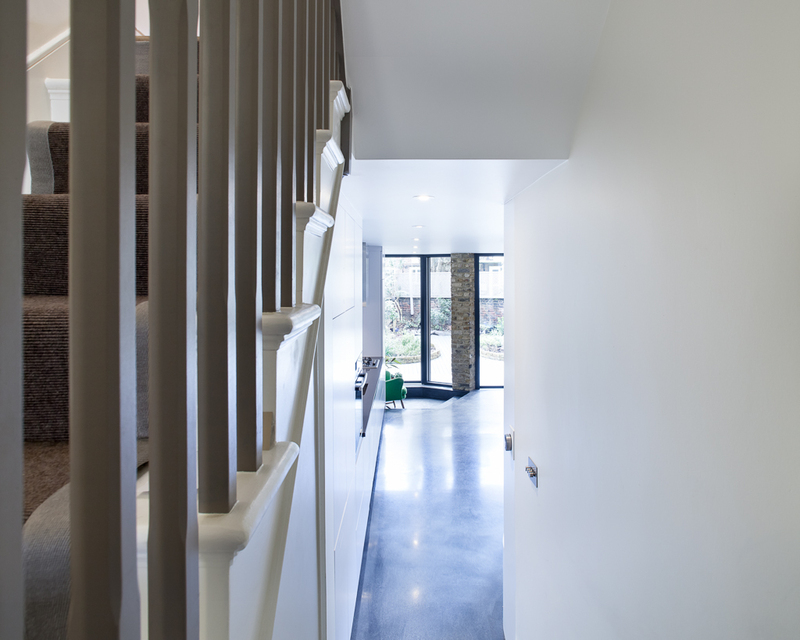 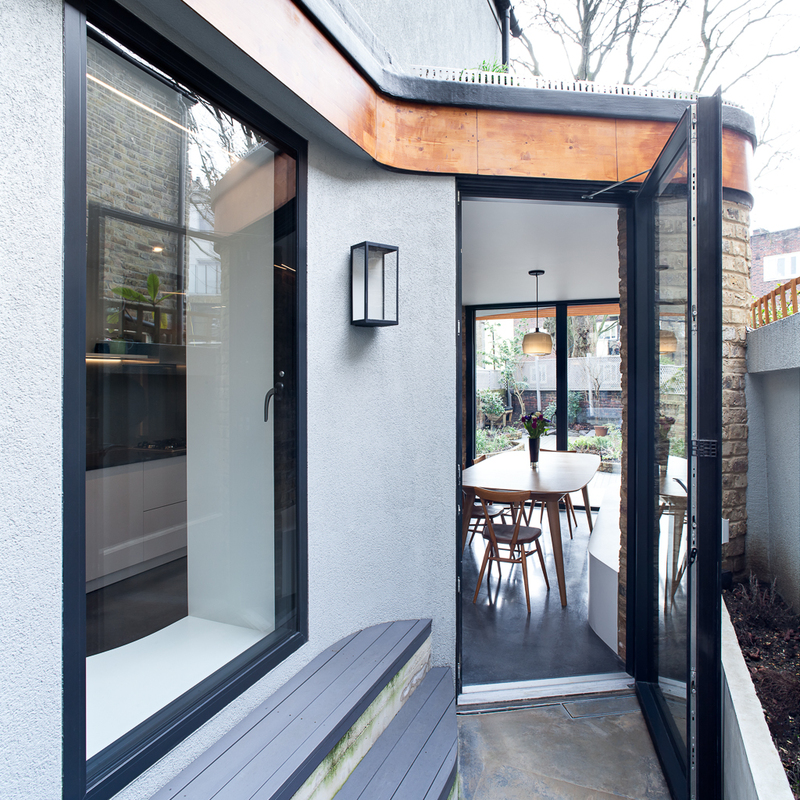 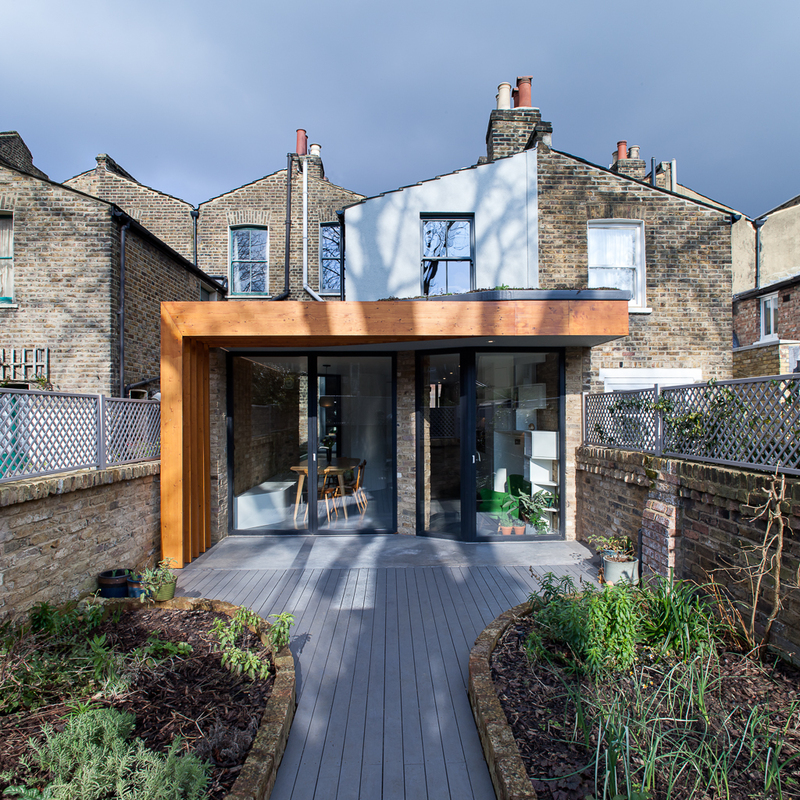 A refurbishment and extension of the ground and first floor to a house at the southern edge of Stoke Newington. 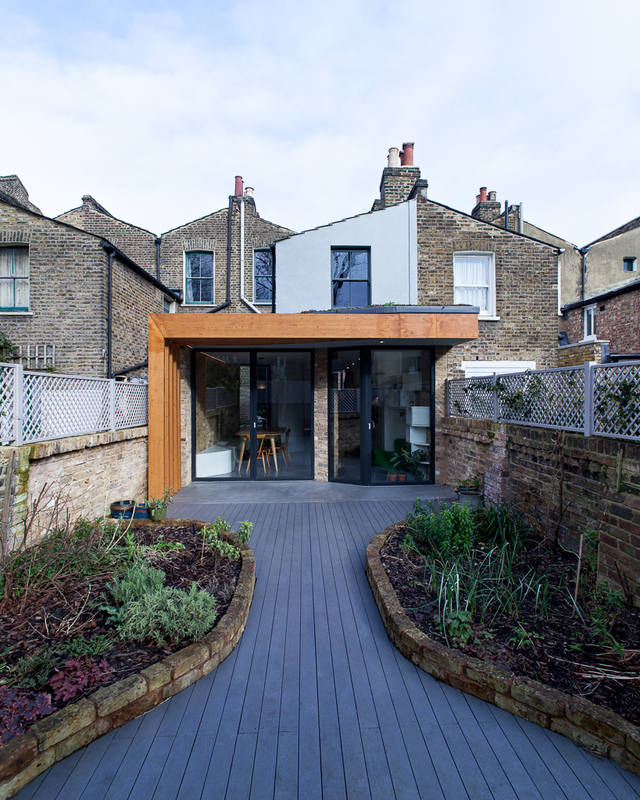 Planning permission had already been acquired by Scenario Architecture. 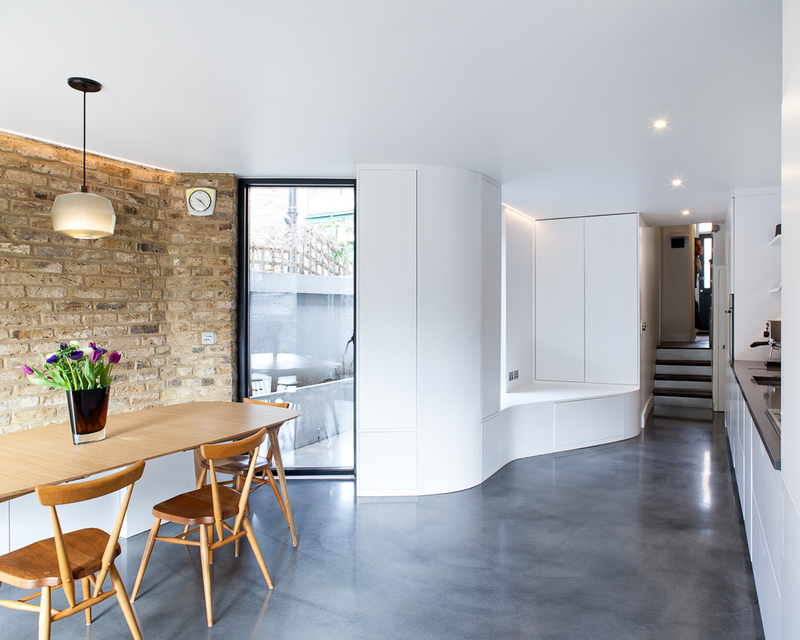 The client commissioned APE to develop their designs, produce construction information and oversee the construction works on site. 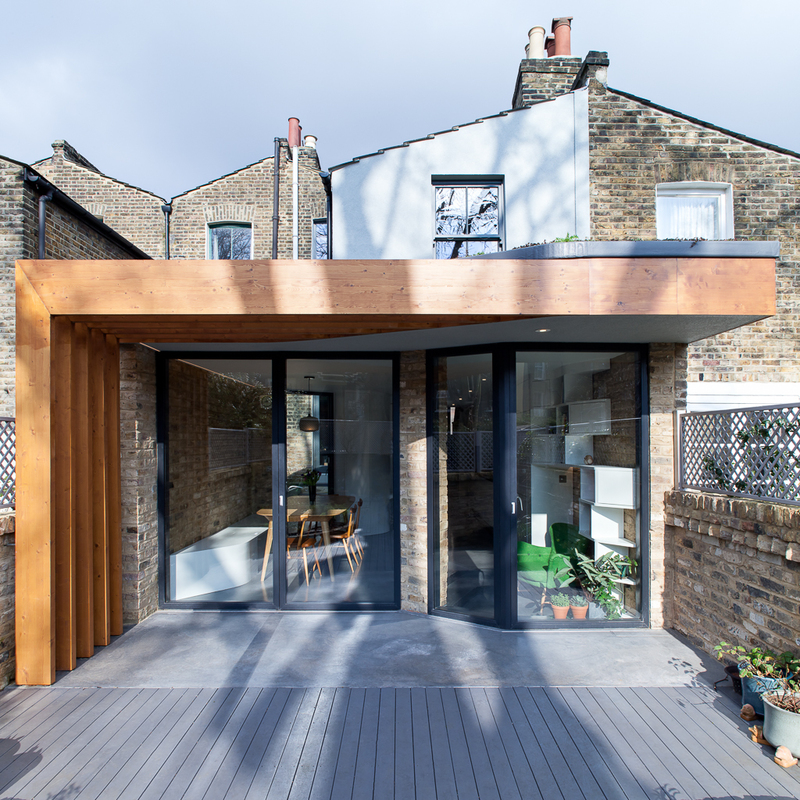 Working again with Brick Chameleon, we completed the site works in early 2016. 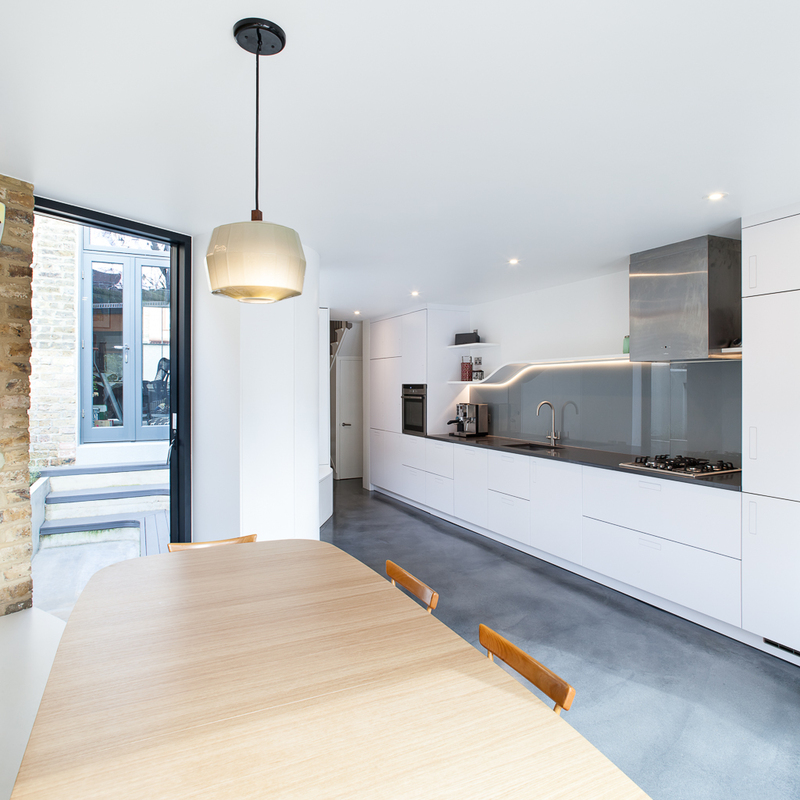 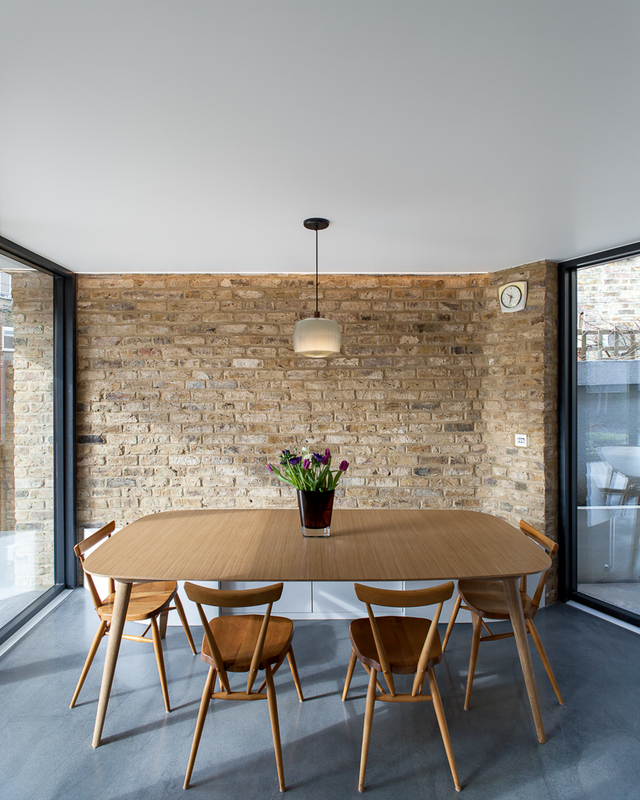 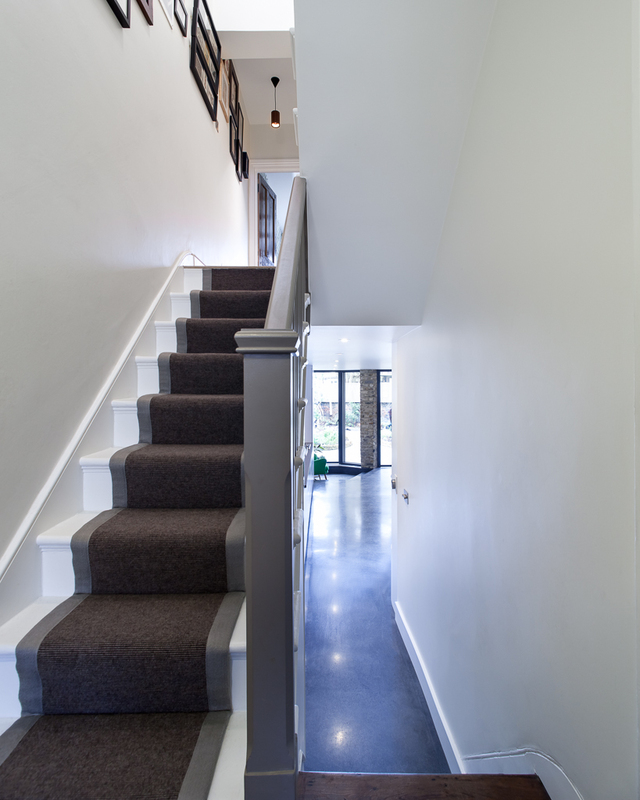 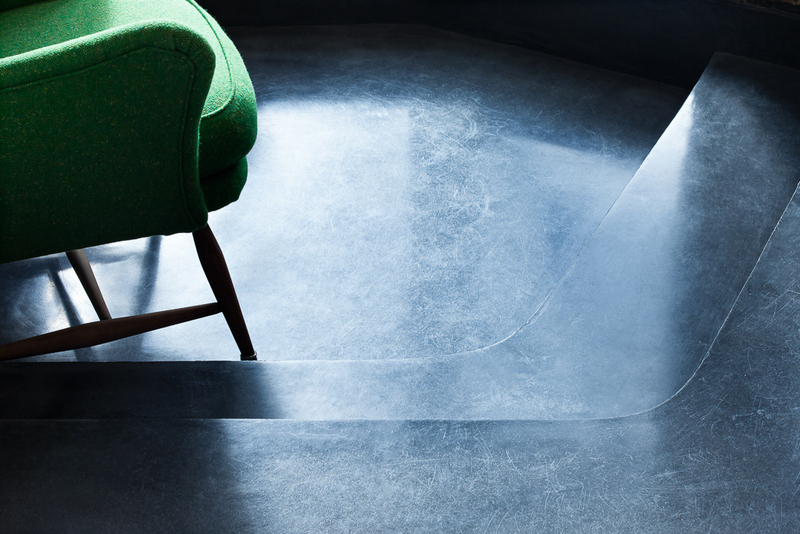 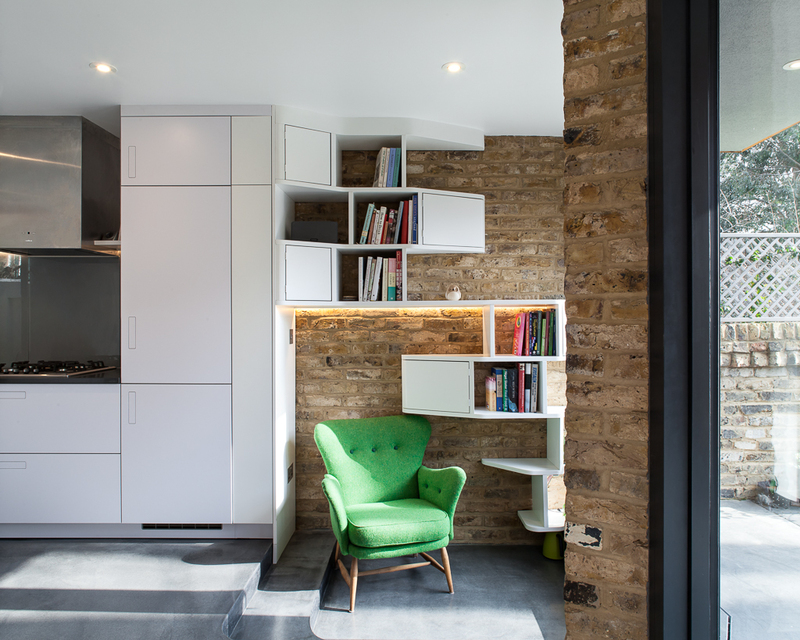 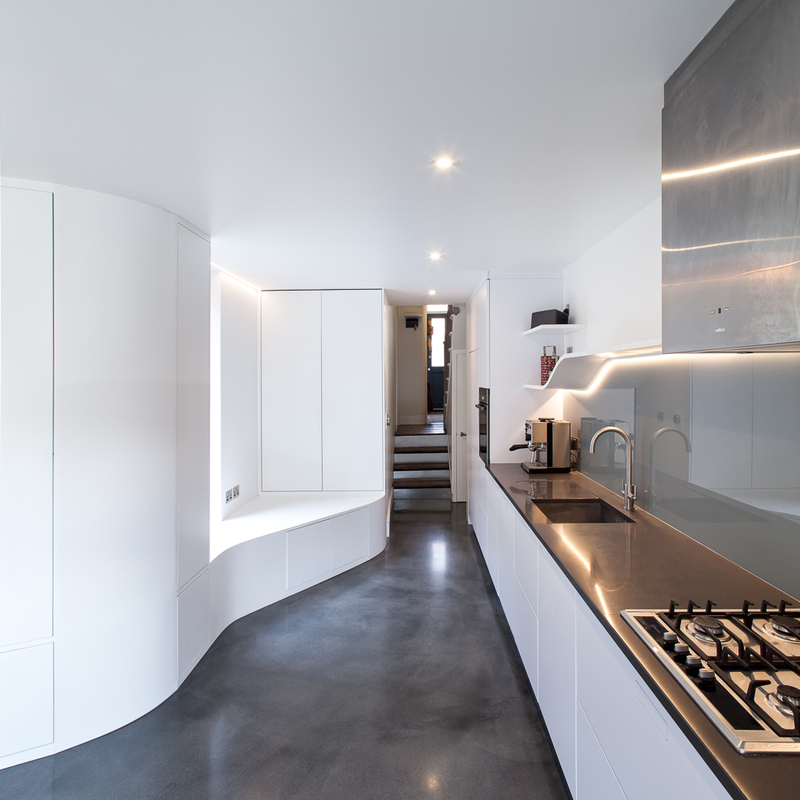 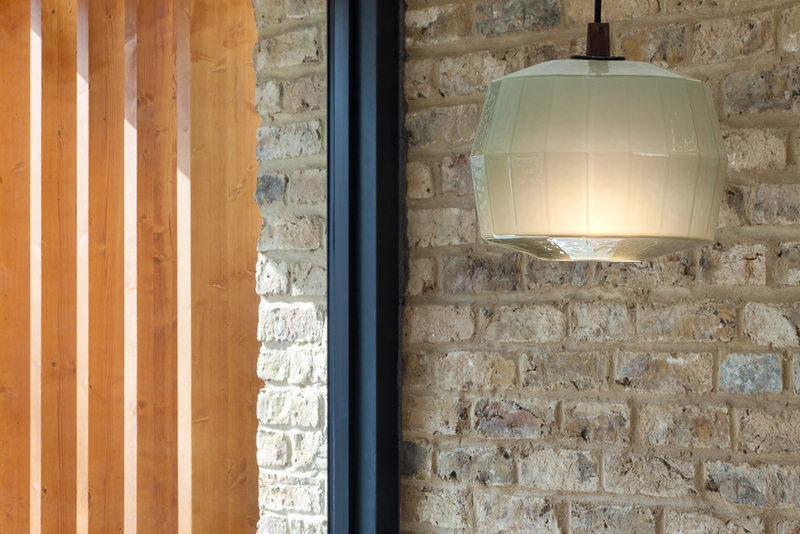 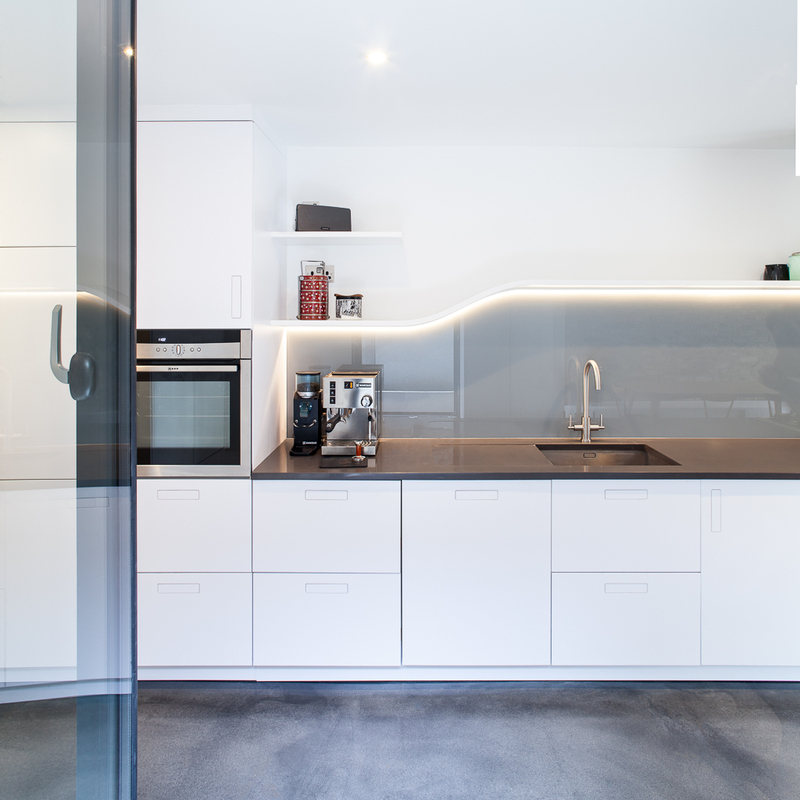 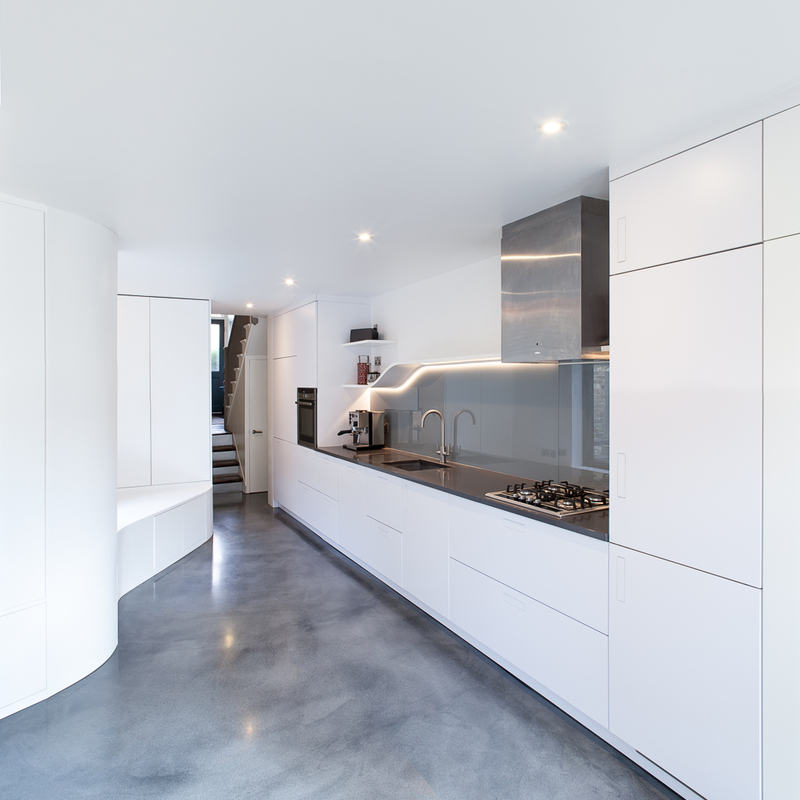 Internally, the designs include bespoke fitted furniture, polished concrete flooring and exposed brickwork. 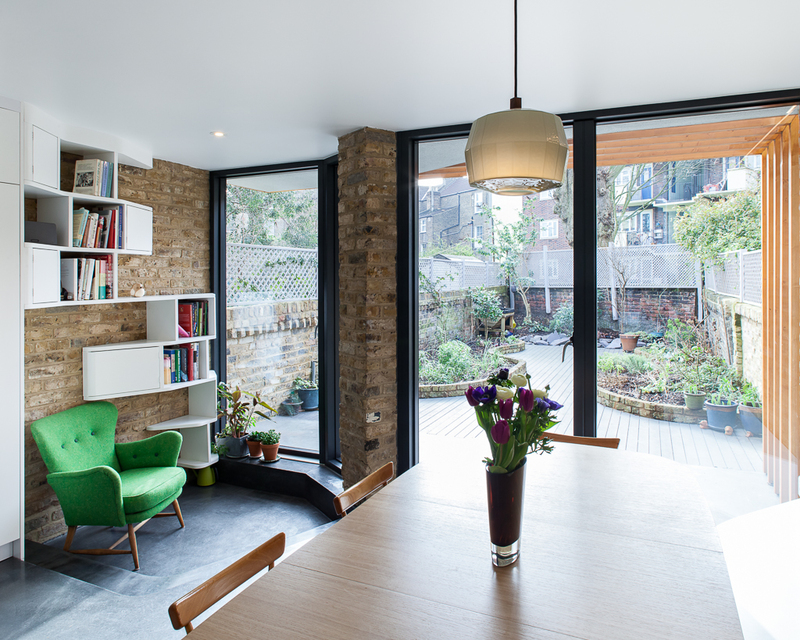 A sunken reading area creates a contemplative space with a view of the garden. 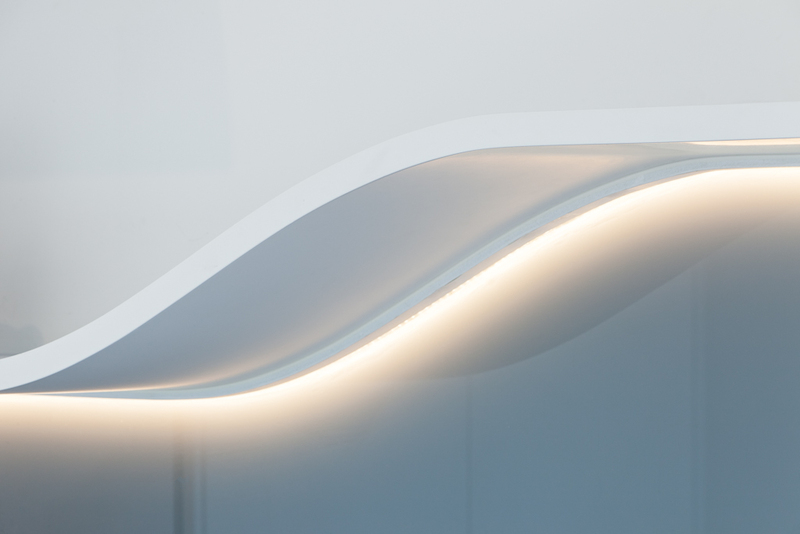 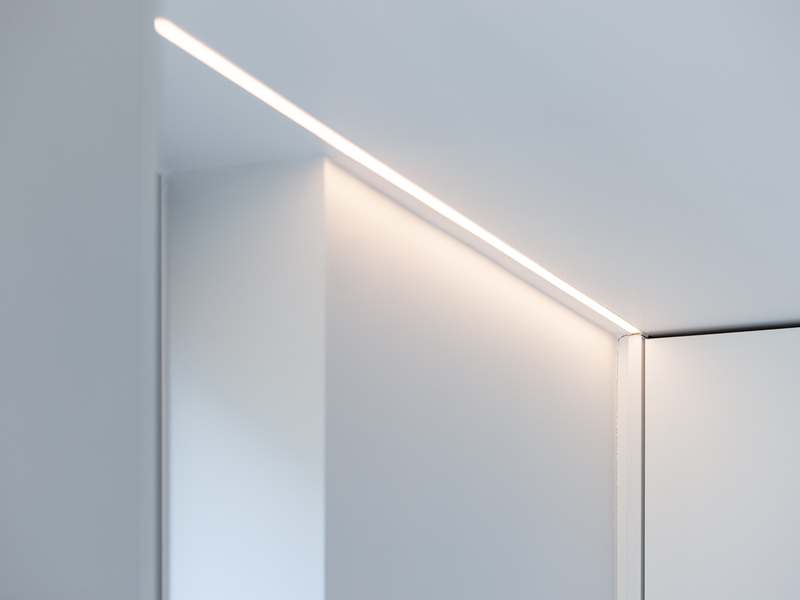 Internal lighting from ECOLed is complemented by specially selected fittings from New York. 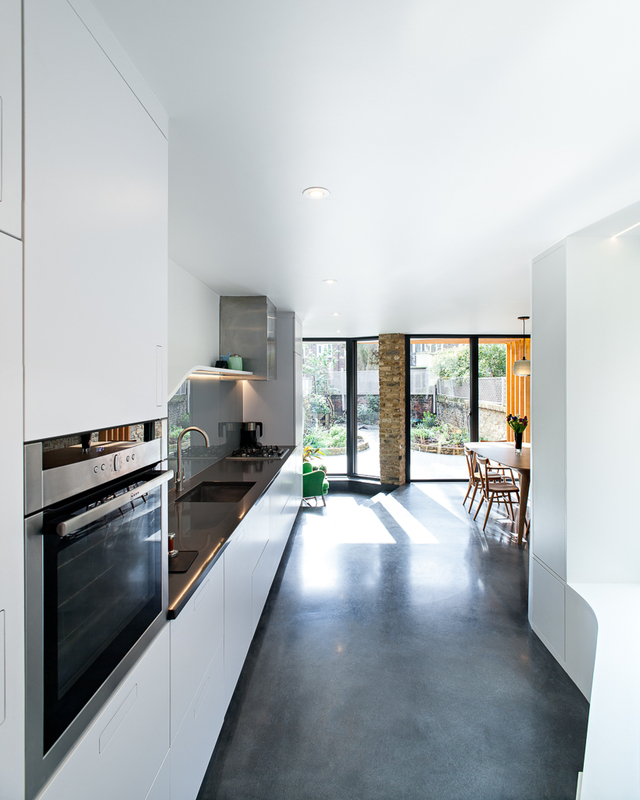 Externally the polished concrete was extended to form a terrace and a private courtyard, with an in-situ concrete planter. 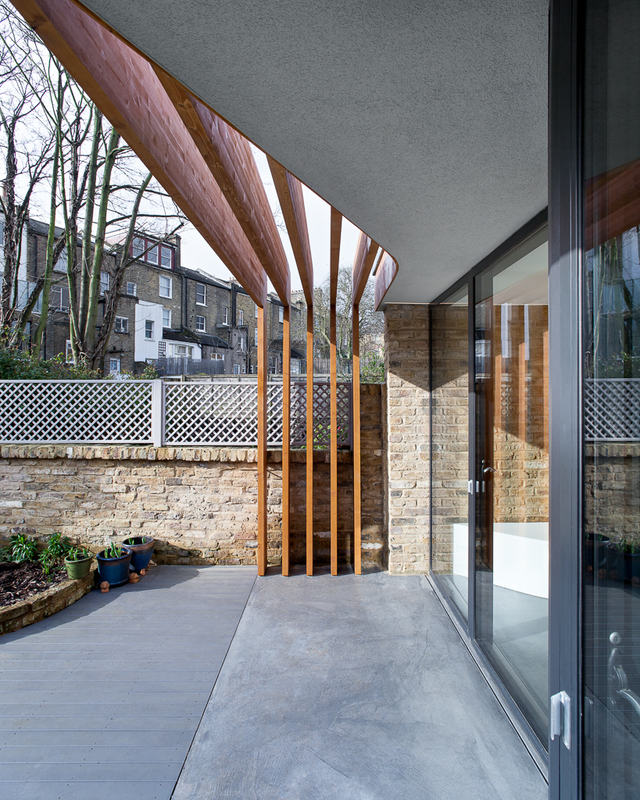 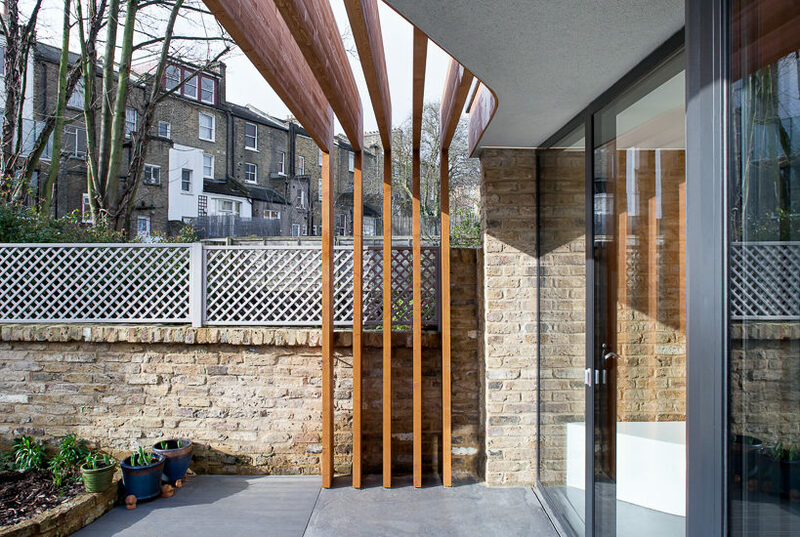 A glulam timber pergola extends the cantilevering roof over the new terrace. 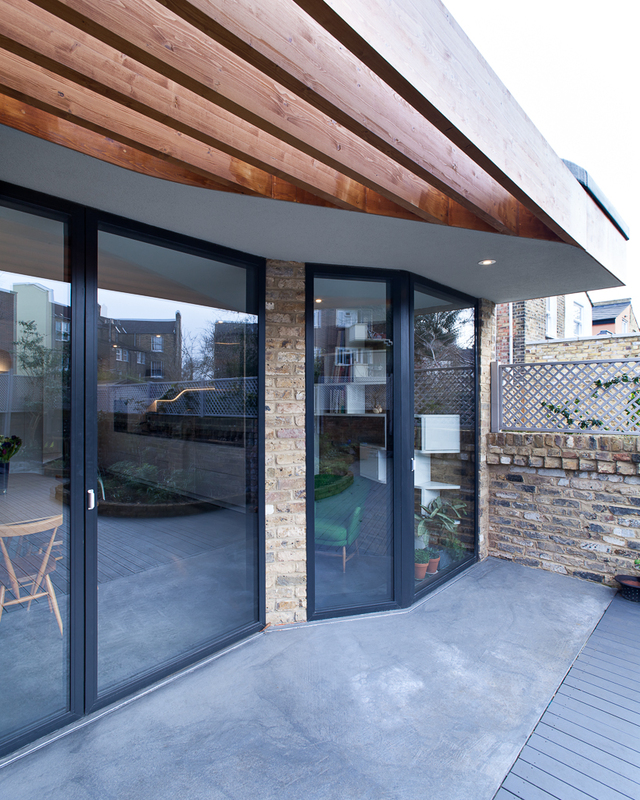 Sedum planting on the extended roof provides a more pleasing outlook from the first floor windows.